The SLELO PRISM has been awarded a new five-year contract by New York State. This service contract will allow our partnership to continue to implement our five year Strategic Plan to prevent and manage invasive species. Our partners wish to extend our gratitude to New York State, the NYS Dept. 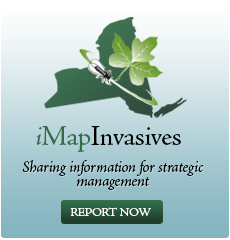 of Environmental Conservation, the NYS Invasive Species Council, The Nature Conservancy as host organization as well as the NYS Environmental Protection Fund. Early Detection at the Molecular Level! Over the next two summers the partners of the SLELO PRISM will undertake a project to assess the feasibility of using eDNA as an early detection tool for aquatic invasive species.